Home Three Choices for Auto Repair! When you get into a car accident, you have three options to choose from when getting your vehicle repaired. Some of those choices can devalue your car and make it unsafe. We urge everyone to look for a Certified Collision Fix Auto Body Shop or Collision Center in your area. This will assure your car or truck gets back on the road safely and with little to no loss of value. Cost-cutting methods and shortcuts often used at Direct Repair Providers (DRP’s). For a body shop to be on an insurers preferred list or direct repair program (DRP) many times they ‘re required to use cheap aftermarket, or even junkyard parts. Parts that may not fit, devalue your vehicle, and can even make it unsafe. Think about it… You’re being steered there for a reason, and many times that reason is to save the insurer money on the repair. Some of these shops have been known to cut corners for more profit under the dollar restrictions that the car insurance imposes. Some do what ever is necessary to stay profitable and still keep the insurer’s business heading their way! You the consumer could end up paying for it in lost value and lack of the original engineered in safety! CNN AC 360 did a story on this in February 2015. That video is on our home page. What are they and why you might want to stay away from them? For most of the big Wall Street owned body shop chains it’s all about profit for the investment groups / shareholders. They in their numbers can buy imitation after market parts in quantity. These parts that don’t always fit and are not up to the original manufactures standard! Many have failed the original manufactures safety tests yet are still being used. These can devalue your car and can make it unsafe. 3. 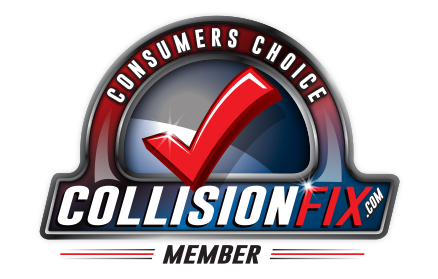 Choose a Collision Fix Certified Auto-Body Shop! Collision Fix shops are all I-Car certified and trained to provide repairs of the highest quality standards!